This Cooking Kit kit includes real recipes that are simple enough for younger kids to understand. It comes with everything kids need to learn how to measure carefully and follow step-by-step recipe instructions. 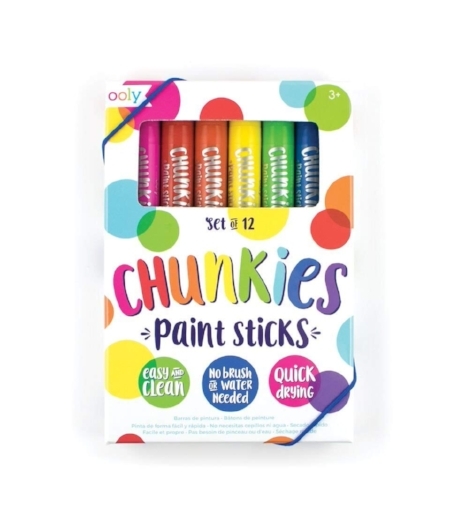 Chunkies are creamy paint sticks with beautiful bright colors. Use them to inspire a love of art, coloring, and painting. Picture Charades nurtures creative thinking and problem-solving while getting kids up and moving. Super fun game for the whole family. Shelby’s Snack Shack is an excellent board game that helps reinforce many important developmental skills. Use it to work on turn-taking, counting, fine motor skills, following directions, and more. 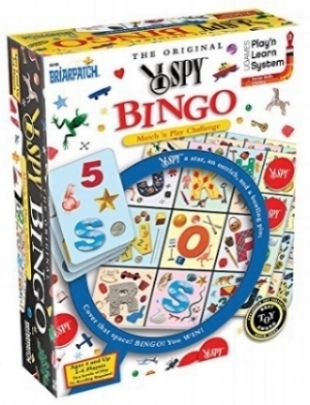 Eye Spy Bingo is a fun way to work on visual processing and attention. It can also be a helpful game to play when learning letters and sounds. It comes with 3 game versions for different levels of play. Magformeres is a magnetic construction set that comes with 4 different geometric shapes for endless 3D building and creativity. Use it to promote visual spatial abilities, motor skills, imagination, and independent play. Diggin Doggies walk along a path searching for their bones. When they find the bone that they are looking for, they pick it up with their magnetic noses. 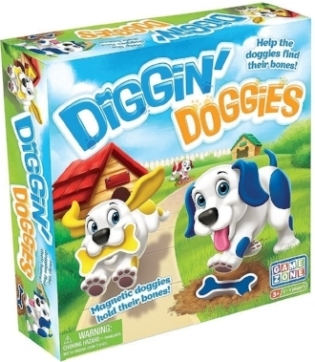 Diggin Doggies is a super fun and unique board game that promotes turn-taking, counting, matching, following directions, and fine motor skills. Happy Harp comes with 5 song sheets with different melodies and one blank sheet to create your own. Teach to play a new musical instrument while encouraging the development of auditory processing and attention. 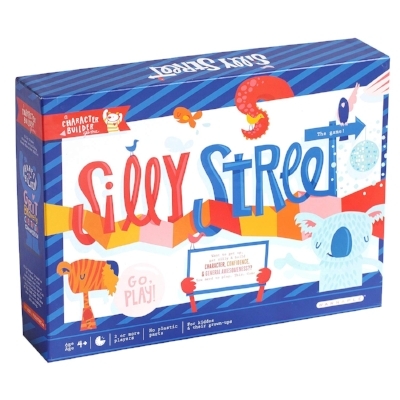 Silly Street is a board game made out of a large floor puzzle. While walking along the path of the game, children engage in different challenges that help develop social skills, communication, dramatic play, and creativity. Silly Street is a great confidence building game. 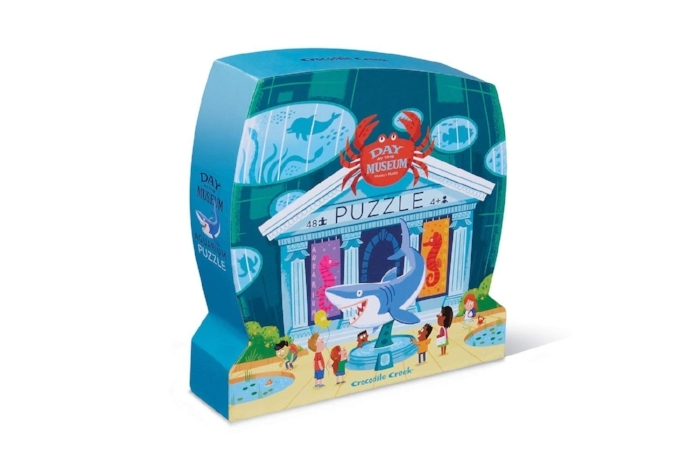 Pull out the block of the animal that the dice lands on and place it back on top without knocking down the rest of the tower. This fun game works on problem-solving, eye-hand coordination, grading pressure, and so much more. Engaging in floor puzzles encourages movement, helps develop visual processing, and promotes sustained attention. Love this amusing aquarium picture.